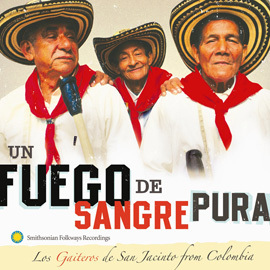 Listen to the variety of rhythms representing the regional diversity of Colombia. 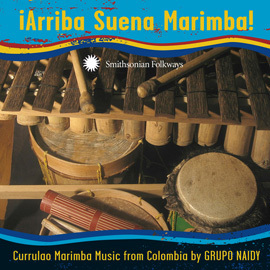 “Adiós, Berejú” features the marimba-led sound from the Pacific coastal regions, while “Sin Ti” and “Pedazo de Acordeón” are examples of the accordion-driven vallenatos from the Caribbean coast. 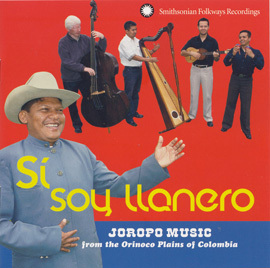 Also featured are the early cumbia sounds of Los Gaiteros de San Jacinto, whose members are well known for their white shirts, red scarves, and wide-brimmed hats. Grupo Cimarrón provides even more contrast, representing the Orinoco plains region of Colombia and Venezuela by mixing masterful harp playing with nimble maracas and soaring vocals. In recent decades, Colombia has suffered waves of violence, and the lack of economic opportunities has displaced people from rural areas to the cities. 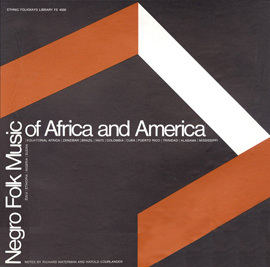 But Colombia’s proud musical tradition continues through the efforts of the musicians and organizations dedicated to promoting and preserving these unique sounds. 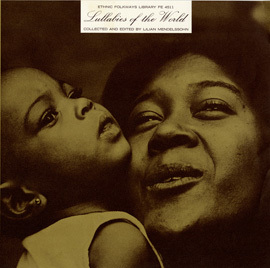 The Smithsonian Folkways collection features eight albums containing Colombian music.